This is a great coupon app. You can claim coupons on the app (listed by store). This can vary from taking a simple poll to watching a video. Then you just have to upload the receipt. It will match items with what you bought. Sometimes it will make you verify an item if for some reason it doesn't see it on your receipt. You will get a verification that your receipt has been approved within 24 hours. The only drawback is you have to have a $20 minimum balance in order to withdraw, but instead of gift cards, you also have the option of Paypal, which I love! Plus you can often find paper coupons that match the items in Ibotta and you end up getting double the savings! Ibotta is also expanding into retail stores like H&M where if you spend for example $30, they will give you $5 back. You can download the app here! This app is a lot like Ibotta. You just upload your receipt and check which items were on it and they will verify it within 24 hours. Like Ibotta, you have to reach the $20 threshold before you can redeem your savings. They will mail you a check, unfortunately, there is no other option, so you will have to make a trip to the bank, but it is worth it in my opinion. Get this app here! Now in the Target app! I do almost all my shopping at Target, so this app is my best friend. Offers usually range from 5% to 50% off and they are now even adding some manufacturer coupons. There are limits on how many items you can save though, usually up to 4 per trip, but sometimes they will let you go up to 20 (usually on clothing or clearance items). You can also use cartwheel with paper coupons, so it is another way to double up on savings. Plus if you have the Target Red Card, that's even more savings! I also always try to get the item when it is on sale as well, so I save even more. It requires good planning though if you want to be a super saver. Download the app here! This is a really simple app to have on your phone and I load it every time I go to the mall. You get "kicks" (points) for just walking into stores and also for scanning select items in stores. When you reach 500 kicks you can redeem a $2 gift card to a store of your choice or you can choose to save up to redeem a bigger amount (I shop at Target all the time so I usually just claim the $2 Target gift card when I reach the 500 kicks and the cashier will just scan your phone in Target. So far it has worked every time!). Get the app here! 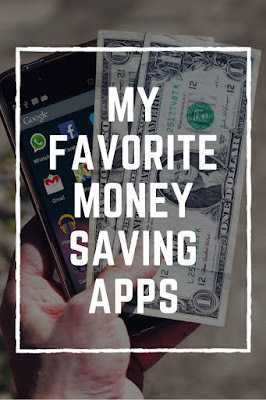 This app is like Ibotta and Checkout 51, but better! All you do is upload your receipt. No picking out items beforehand. The app will see if any of the items you bought match the brands they are partnered with and will award you points if they do! It is a lot less work for you and you can use the points you earn to redeem gift cards to your favorite stores! Download the app here and use my referral code: DU3PQ to get 1,500 points for free! I was a little hesitant to add this to my list, but since I do use it, I feel obligated to share it. The reason why I hesitate is because I have worked in retail and I see so many people bring this app up to me and say "I have a 30% coupon" and then when they hand it to me the code does not work because it is online only or expired. This app does not guarantee you will save anything on your shopping trip because coupons are added by complete strangers. Also, always read the entirety of the coupon before trying to redeem it, often it will say online only and give the date ranges, so you don't waste your time at checkout. Besides all of that, this is a great app, but I only use it if I happen to be out shopping, just to check and see if there are any coupons. I do not plan my trips around this app. I personally have not had any issues using the coupons I found, but that is probably because I always read them before bringing them to check out. However, if one does not end up working one of these days, I will totally understand. You can check out RetailMeNot here. Swagbucks allows you to earn points, called Swagbucks or SB, by doing surveys, watching videos, shopping at your favorite stores, etc and you can exchange those points later for gift cards! They do have a coupon page as well and when you use their printed coupons at your local store, they give you points for it! You can become a member here! 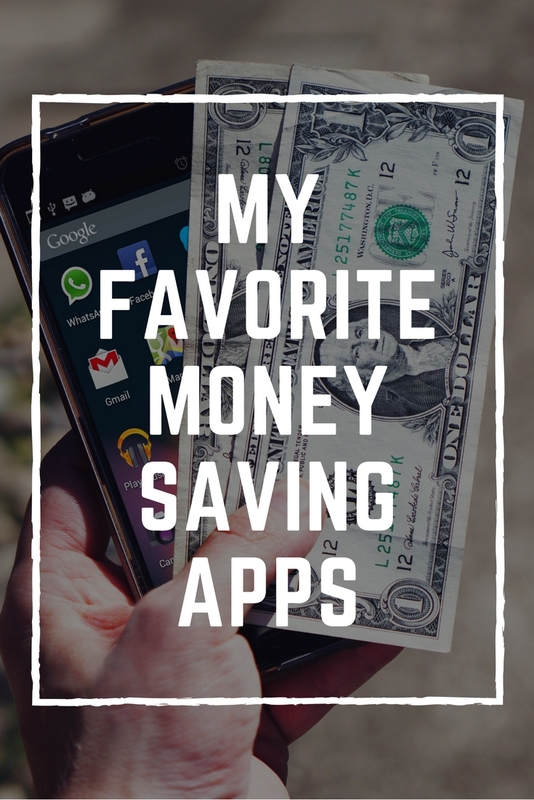 This is one of my favorite ways to save money when shopping online! Ebates gives you a percentage back when you shop at your favorite stores through them. They then will pay you via Paypal every 3 months and once you reach the $5.01 minimum. Ebates also has a handy Chrome extension so you will be reminded to use it when you are shopping online. If you aren't a member yet, you can join here! You'll always get a free $10 gift card after your first purchase! Be Frugal works the same way as Ebates. However, they offer discounts at way more stores. I like to compare Be Frugal with Ebates as often one offers a higher percentage back than another. The downside to Be Frugal is it doesn't have a toolbar you can install into chrome, so you have to go to the site to find the store and click the link there in order to get your cash back. Click here to join! Love it! I have used Ibotta before and love RetailMeNot but haven't heard of the other ones. Thank you for sharing, I am excited to try them out! I'm going to have to try these out. I've used Retail Me Not before, but not the others. Thanks!